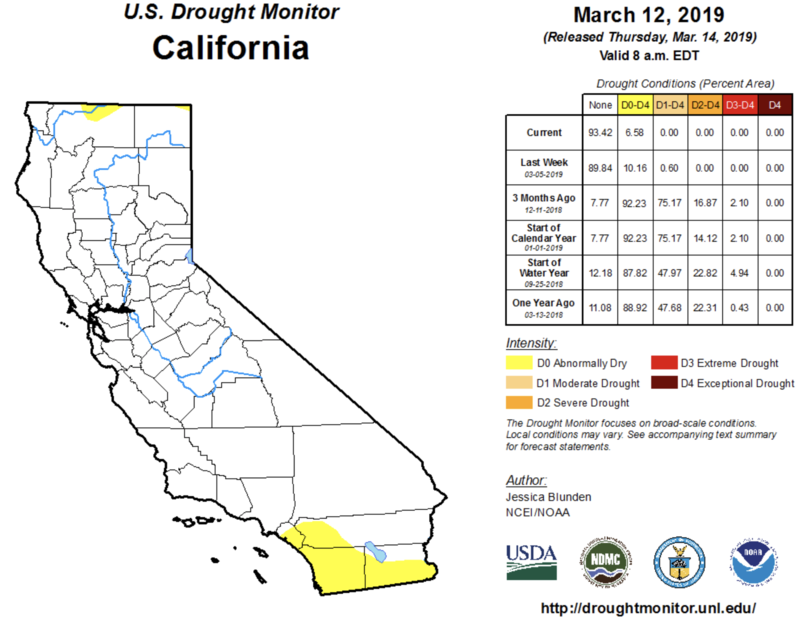 California Drought Monitor March 12, 2019. Small portions in the far northern and southern parts of the state were still marked as “abnormally dry,” but elsewhere, the map registered no drought conditions at all. In San Diego County, reservoirs were only 65% full, which contributed to the dry conditions in that area, Blunden said. 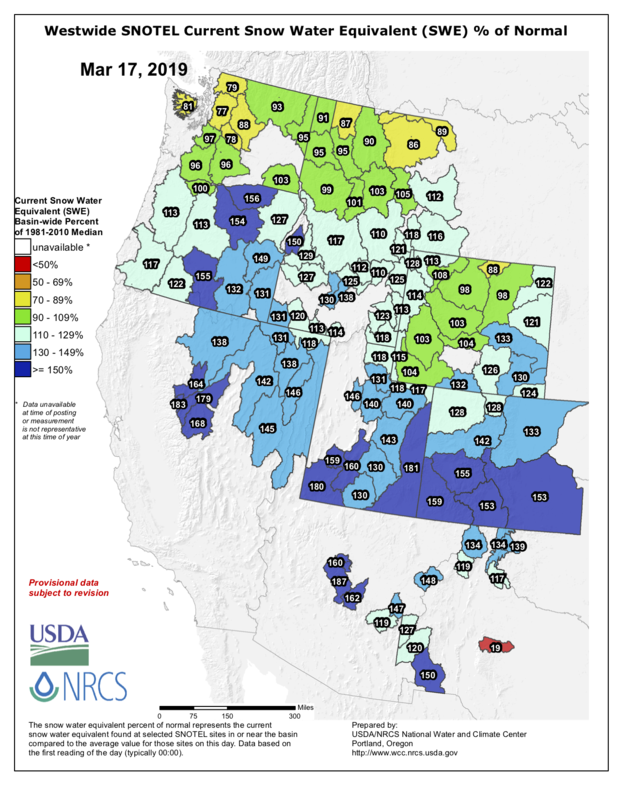 Westwide SNOTEL basin-filled map March 17, 2019 via the NRCS.